Today I received the posthumous book of Michael Crichton, “Micro”, co-authored with Richard Preston. It came together with “Bloodlines-Touch Not the Cat”. I had ordered the two books together, because someone had told me that an advertising method of Amazon is to say…”People who ordered this book, also ordered… “ so I was hoping Bloodlines -TNtC. would pop up as an ‘also’ with people ordering Micro. It wasn’t just a cheap trick to get attention to our novel, by surfing along on the fame of a big author. Michael Crichton has been my big example ever since I accidentally discovered his autobiography, “Travels”. When I first saw Travels in a second hand book shop in Singapore, and read on the front cover: “by the author of Jurassic Park”, I was surprised as I never knew somebody had actually written Jurassic Park. I thought it was a product of Steven Spielberg’s imagination who had ‘some scriptwriter’ write the screenplay. After reading “Travels” which was, for more reasons than I can explain in one blog, a life changing experience, I sought out Michael Crichton on the web and discovered he was also responsible for the television series E.R. and many other great books like Rising Sun, Disclosure and Timeline that were put into movies. I also discovered Michael Crichton’s website held a message board. For about two years I stalked this message board, watching all the discussion that went on about MC’s work, meanwhile reading each and every book by Michael Crichton I could find in the world’s library. When ‘State of Fear” was published I finally became bold, registered and placed my first post on the MC message board. It took me three days to write it, edit it, delete it, rewrite it, re-edit it and finally post it. It was to be the first post of the 395 still visible posts on the MC message board that I made to this day. Maybe, when I also post this blog, it will turn to 396. According to the websites members list, I’m heading the number of posts listed, preceding the number two with 90 posts. 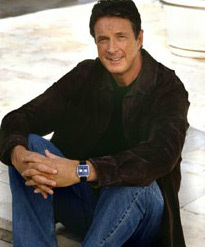 I became infatuated with Michael Crichton. Not just because he was an extremely attractive man, but also because, in my opinion he had a prophetic- and the brightest author’s mind, I ever encountered. Posting on the MC Message board was like going to Authors University. Dissecting his books the way ‘us Crichtonians’ did on the board and discussing the themes ‘us Crichtonians’ discussed, the forum brought me the need to perfect my use of the English language, the necessity to think deeper than I normally would about the process of writing and dredged me out of my own degrading belief that “I could never be an author”. With Crichton anything was possible. I also met people on the board that became great friends. One of them Oleg L.Gubarev, even made me travel to St Petersburg Russia, as we had been compiling a book about our experiences on the MC message board, titled “Soul Searching”. Two people, from totally different cultures and backgrounds who basically only had one thing in common: their love for Michael Crichton’s works. We were about to publish ‘Soul Searching’ when MC passed away on November 4th in 2008, a devastating experience for his ardent fans. I’m not ashamed to say I still mourn MC to this day. So… that’s why it was so special for me to receive two books in one Amazon parcel; Micro and Bloodlines-TNtC. But when I opened the parcel today and found myself staring at two new releases, one co-authored by MC and Preston and one by McKerley & Schippers, the significance of it blew me away. It is thanks to Michael Crichton that those two books ended up in the same parcel. MC has educated and inspired me to heights I cannot describe. He was an exceptional human being and I am forever grateful.